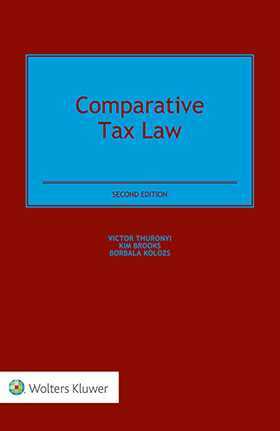 Comparative Tax Law, now presented in an updated new edition, focuses on the essential patterns of tax law in different jurisdictions across the globe. Although the details of tax law are literally endless—differing not only from jurisdiction to jurisdiction but also from day-to-day changes in the working of the system—structures and patterns exist across tax systems that can be understood with relative ease. Considering the dynamic nature of tax law, whose rate of change exceeds that of any other field of law, the author’s clear identification of the fundamental structures and also the underlying patterns that all tax systems have in common—as well as where the differences lie—guides the reader and offers resources for further research. systems of appeals from tax assessments. The information and analysis pulls together valuable material which is scattered over disparate literature, much of it not available in English. This book provides an immensely useful introduction to the core common knowledge that any well-informed tax lawyer must have about comparative tax law in our times. In addition to its value to tax law specialists dealing with details in other tax specialties, and to tax lawyers seeking a practical understanding of modes of thought and prevailing opinions in countries other than their own, the book provides particularly welcome additional knowledge to practitioners confronting cross-border taxation issues.